This badge was issued to Heiko Ankenbrand on 05 Jun 2018. 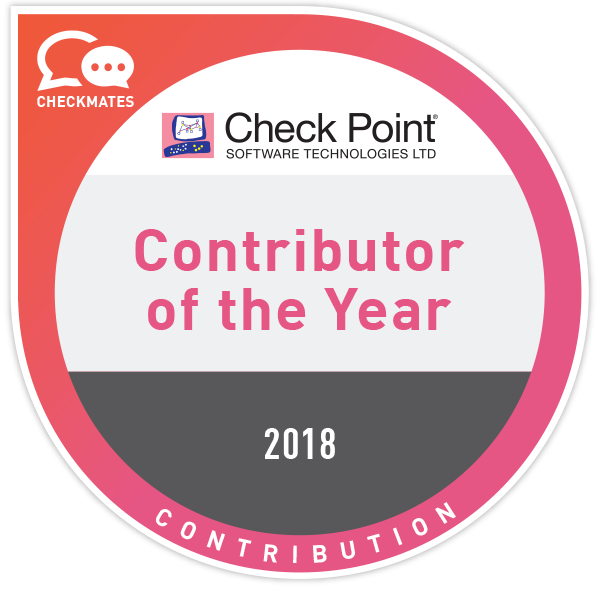 The individual is a significant contributor to the Check Point CheckMates community as recognized by peers. The individual was granted this badge based on recognition from the Check Point CheckMates community.